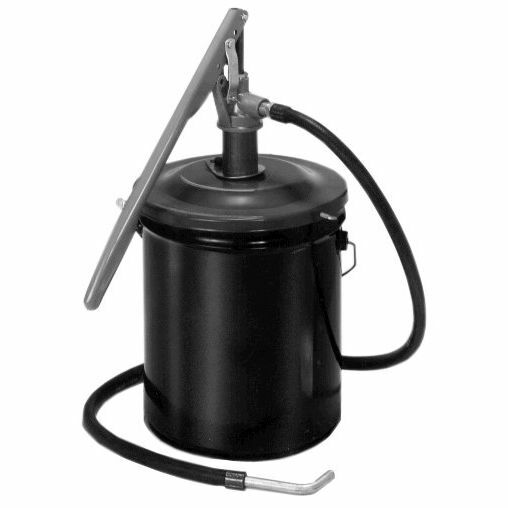 The 611170 from Ingersoll Rand is a hand operated pump used in low volume applications like grease, motor oil, gear oil, and transmission fluid. Its rigid design consists of a drum body that weighs 35 lb. The ratio setting is adjustable. The lower the ratio set, the more volume is dispensed with each stroke.